COLE ROOFING Company is celebrating its 100th birthday this year. Founded in 1919 in Baltimore, Maryland, the company currently employs more than 100 workers and focuses on commercial roofing work,with a diverse portfolio that includes single ply, built-up roofing, metal, wall panels, and renewable energy systems. In 2012, William Robert Cole, known as Billy, took over the helm of the company from his father, William Roland Cole, known as Bill. Billy Cole represents the fourth generation of his family to run the business. As the company commemorated this milestone, Bill and Billy Cole shared their memories of the company and insights on the industry with Roofing. Bill’s grandfather, John H. Cole Sr., founded the company as John H. Cole & Sons after World War I. “My grandfather started the business in his basement making ductwork for home furnaces,” Bill says. Two of Mary’s sons, John and Bud Cole, took over the business after the war. In the 50s, the company started installing BUR on row houses in Baltimore. In the 60s, at Bud’s initiative, the company began doing commercial work. Bud bought out his brother in the mid-60s, and the commercial side of the business continued to grow as the residential side tapered off. Bill Cole became president of the company in 1989 and continued to build the company, expanding into metal roofing. After years of being known as Cole Roofing, the company officially changed its name from John H. Cole & Sons to Cole Roofing Company Inc. in 1998. The business has continued to diversify in the 21st century, expanding into areas including green roofs, photovoltaic systems and metal wall panels. Bill served as president until 2012, when Billy was named president; Bill remains with the company as senior vice president. 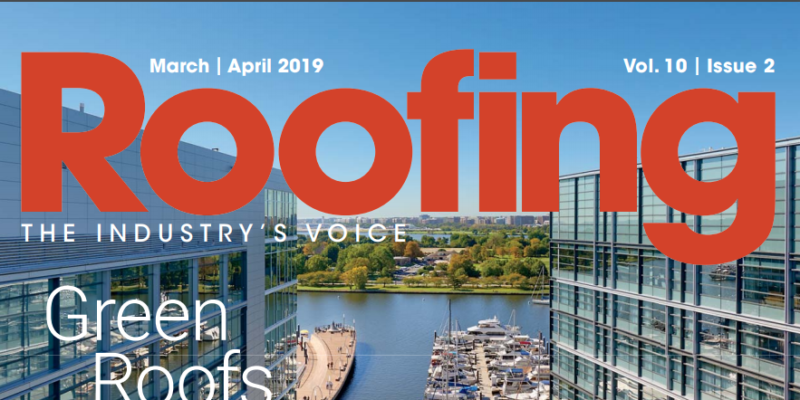 Click here to read the entire story in Roofing Magazine’s March/April edition. 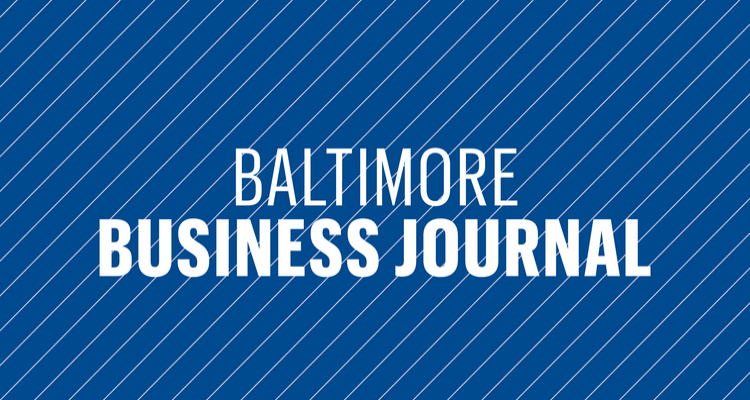 This week, Bill Cole sat down with Carley Milligan from the Baltimore Business Journal to discuss the future of Cole Roofing and how he believes that technology will impact the roofing industry. Today Cole Roofing was presented with a Secretary’s Citation to commemorate the company’s 100th anniversary! We are so grateful to the Department of Commerce for honoring us with this certificate and for helping us celebrate this significant milestone. What does it take to run a 100-year-old family business? To find out, The Daily Record’s Adam Bednar sat down with Cole Roofing President Bill Cole for the Ground Up Podcast. During their chat, Bill talked about the history of Cole Roofing, how technology is changing the industry, and providing second chances with meaningful career opportunities. Click here to listen to the full episode and hear Bill discuss what it’s like to run a fourth-generation family business that has been in operation since 1919. 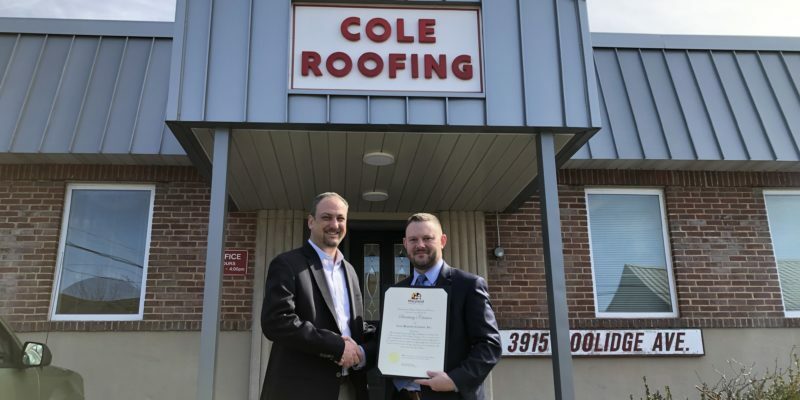 Cole Roofing Company, Inc., Maryland’s leader in safe commercial roof installations, today announced a year long celebration of the family-owned business’ 100th birthday. 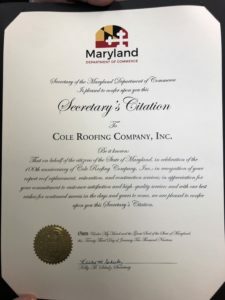 Founded as John H. Cole & Sons in 1919 by John H. Cole Sr. at the close of World War I, Cole Roofing has spent a century building a reputation for quality workmanship in and around the State of Maryland. Over the years, Cole Roofing has helped shape the state’s skyline. Cole Roofing has been enlisted as a roofing contractor at many of the state’s landmark properties, including Baltimore City Hall, M&T Bank Stadium, National Aquarium and the U.S. Naval Academy. In 2019, a fourth generation of Cole Roofing employees continues to carry out the company’s tradition of building and repairing roofs for some of the region’s most demanding commercial projects. The Cole family business began in 1919 when John H. Cole Sr. recognized a need in Baltimore for gutter and spout services, as well as the growing opportunity of home heating through internal duct systems. Working out of his basement on Bel Air Road in the Frankford neighborhood, he soon built a reputation for his commitment to superior workmanship and customer service. By 1944 Cole Sr.’s wife, Mary, found herself running the business after Cole Sr passing away suddenly. With four sons in World War II the call was made to find them and bring them back home. Fortunate for the 1000s of team members who have worked for Cole over the years, Mary carried the business until John H Cole Jr and Roland H “Bud” Cole returned and got to work. The City of Baltimore was growing, and so did opportunity for the Cole family. In 1955, an opportunity to install slate roofs on a new development at Loch Raven Village presented itself. Despite their limited experience in roofing, they took the job and completed it on time and under budget. The roofing business took off from there. By the 1960s, under the persistent direction of Cole Sr.’s son, Bud, the business began to flourish. Moving the company towards commercial roofing and maintenance, the company’s outlook began to show promise. Bud’s son, William Roland “Bill” Cole., took over the company in 1989. Leading the company to adopt much needed process the business continued to grow. After years of customers referring to the company as “Cole Roofing” the company officially changed its name from John H. Cole & Sons to Cole Roofing Company, Inc. in 1998. Today, Cole Roofing employs more than 100 team members out of its offices in Arbutus, including a number of father-son tandems. The company takes pride in the large number of opportunities they have provided fellow community members through meaningful employment. Throughout 2019, Cole Roofing will be celebrating its 100th anniversary with its employees and customers across the state of Maryland.